Can we all just take a moment to appreciate how beautiful this lipstick is? The packaging, the colour, the shape. Gorgeous. 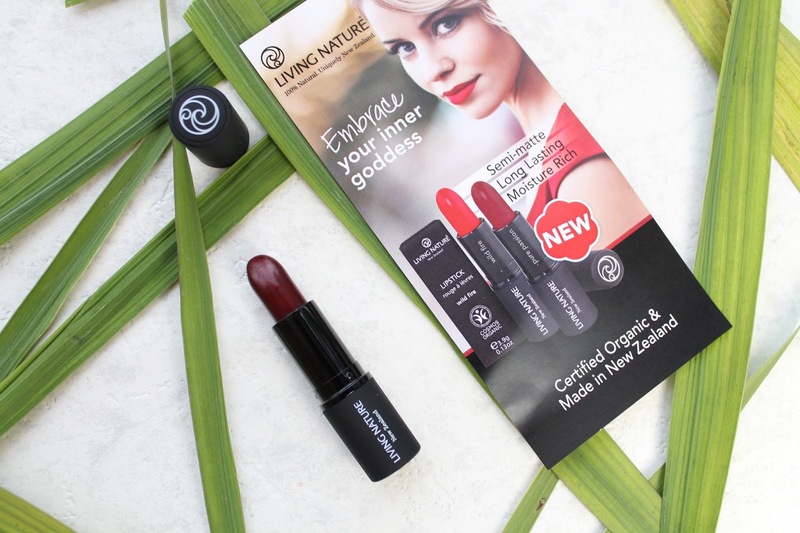 This beautiful lipstick is from Living Nature and it is the first of its kind (along with another shade) to be fully COSMOS certified organic. 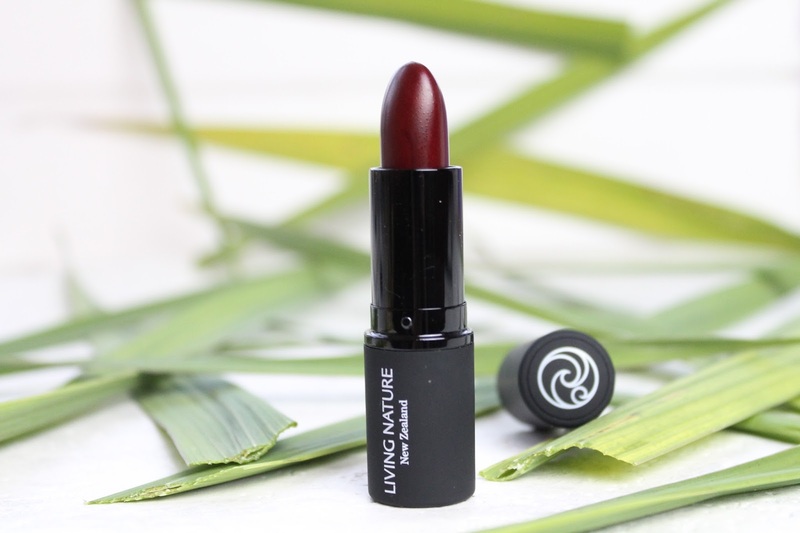 I was very kindly sent this Living Nature Lipstick* by Botanical Brands and I knew it would be perfect for Organic September and better yet Organic Beauty Week. The fact that I've got a growing obsession with lipsticks in every shade and variety going, just made it that much easier to give this a whirl. This particular shade is called Pure Passion and it is the darker more vampy shade of the two available. 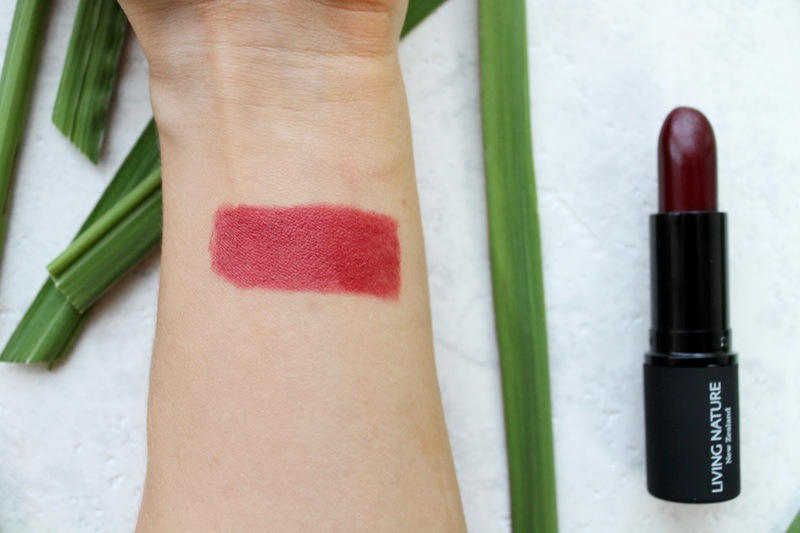 They surprised me with the shade, but as I had seen this lipstick and it's partner on other lovely blogs, I knew that either would be right up my street! In the tube Pure Passion looks like a very deep rich dark vary red. A perfect autumn colour. As with most things, depending on the light this can look very different. I find on me the colour comes out a lot brighter and lighter than expected but still has a lovely deep rich cherry red hue to it. This is definitely not a pillar-box red. I actually think the colour is much truer to the colour sticker on the lipstick time than what it looks like in its unapplied form. I have to say I am very much in love with this colour. With my mixed skin tone it can be hard to match the right red, I'm not pale but I'm not dark toned either. My skin is also a mix of both yellow/olive and pink undertones and for me it's not as simple as always opting for warm or cool undertones. Both can look flattering and unflattering in equal measure. Personally I think this is a really flattering shade on me and I love it. I took it on its first outing at a friends wedding and it really pulled my look together, striking without being over the top! 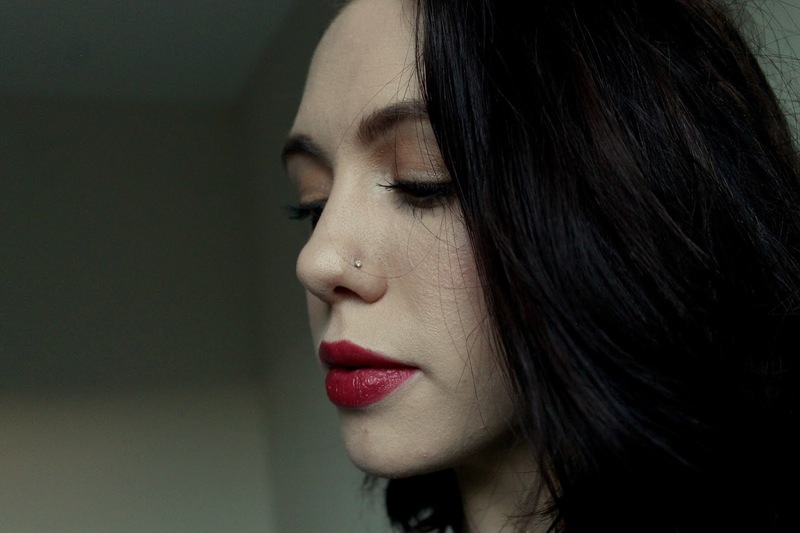 The formula of the lipstick is wonderful. It is super creamy and applies very easily, not a hint of chalkiness in sight. For staying power, as I mentioned I wore this to a wedding and I only had to re-apply a few times throughout the day. The info describes it as long lasting and I can certainly attest to that. 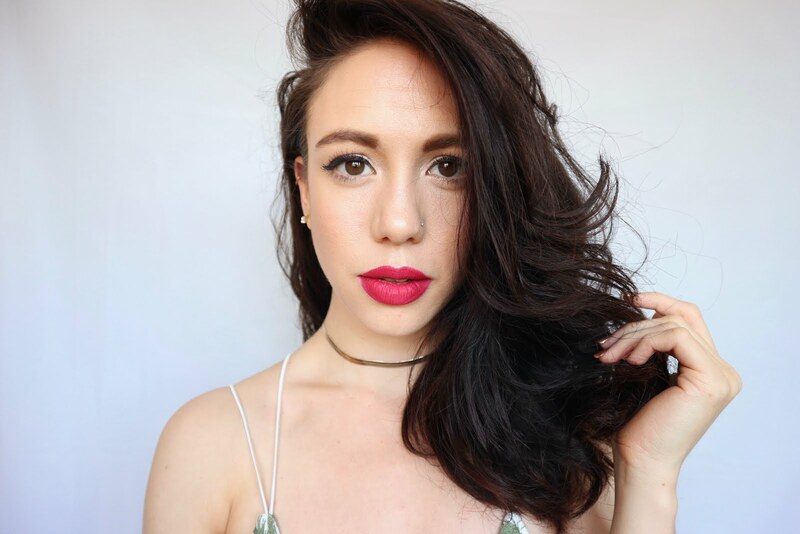 A great aspect of this lipstick is that it doesn't tend to smudge too easily and doesn't bleed at all, so you can maintain a fairly crisp outline. When swacteched this lipstick does look semi-matt but I do find that once on my lips it loses its semi-matt finish and becomes a little more silky looking. Luckily for me it is also very hydrating and doesn't highlight any dry patches too much, which as someone who is constantly battering dry lips is a real blessing in both aspects. 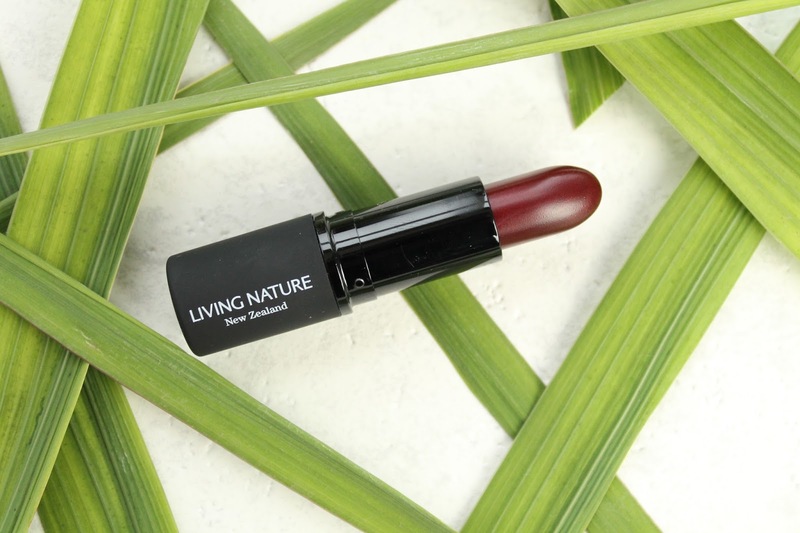 To help them moisturise while being worn, this lipsticks is formulated with organic coconut oil, organic carnauba wax and organic beeswax. Which brings me nicely onto one of the most important factors about this lipstick. It is 100% natural and 90% organic. Fully COSMOS certified. Organic makeup is hard to find and the fact that this is certified by the biggest and strictest organic certifying body out there is amazing! 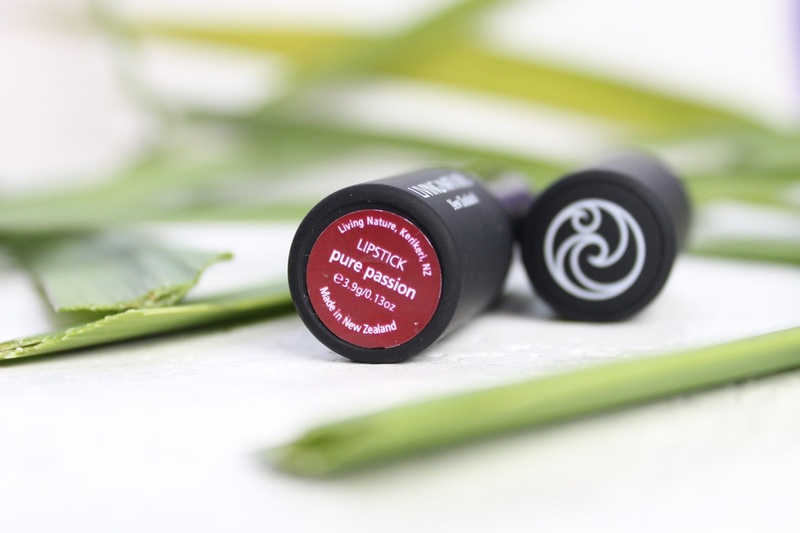 Additionally these two organic lipsticks are cruelty free and gluten free. Just a note they do contain beeswax so are not vegan. Love this shade, it looks gorgeous on you!